(Trent Nelson | The Salt Lake Tribune) Rep. Mia Love, R-Utah, in Salt Lake City, Wednesday Oct. 17, 2018. 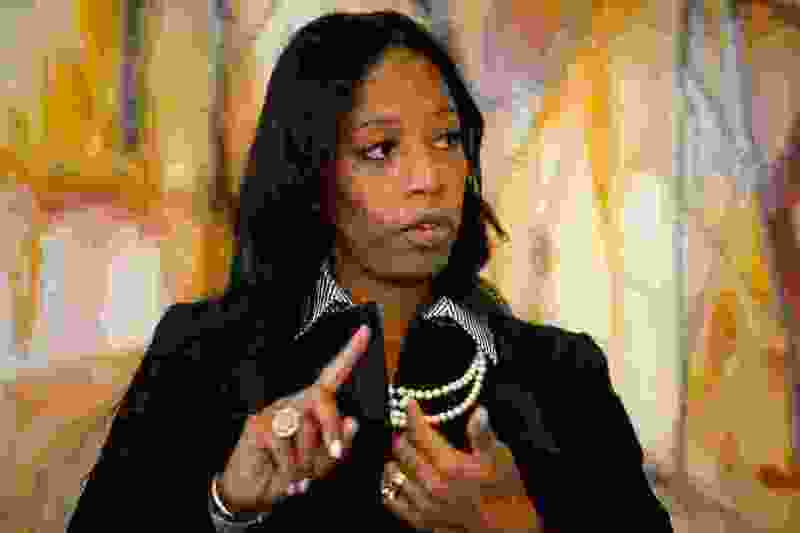 The endorsement of Mia Love is a sad statement from the editorial board of The Salt Lake Tribune. It’s not sad because I disagree, which I do. It is sad because of the reasoning behind the endorsement. The endorsement admits Love has few legislative accomplishments, none that benefit her constituents directly, and also admits she has a thin skin, which basically admits she is vulnerable to stronger-willed colleagues. The endorsement touts her talking points on immigration and her claiming to favor Dreamers gaining a path to citizenship. Her actual voting record belies her words, since she voted against Dreamers being protected if they enlist in the armed forces. She has also voted against funding for DACA. She extols concerns about climate change and membership in the Climate Solutions Caucus. There are Republican members who take climate change seriously. Love, joining in January 2017, is not one of them. She is trying to greenwash her résumé and nothing more. She has voted to open up the Arctic, cut funding for clean energy and nullify the Clean Power Plan. The League of Conservation Voters gives her a 3 percent lifetime score. Readers should ignore the Tribune endorsement and vote on actual accomplishment. Ben McAdams has accomplishments, Mia Love does not.